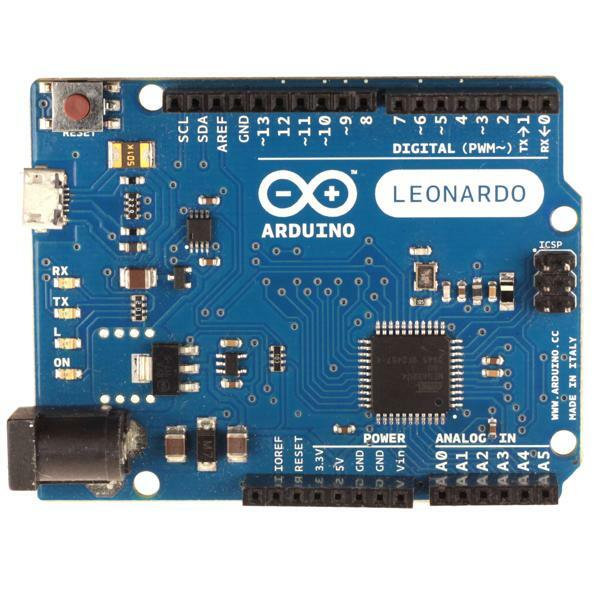 The Arduino Leonardo features an ATmega32u4 microcontroller and plenty of analog and digital pins for your robot project. The Leonardo is a 5V microcontroller board with a standard Arduino form factor. It will work with a wide variety of Arduino Shields. The Leonardo has a bit price than the Uno and comes with a microcontroller that is permanently mounted onto the board. The ATmega32u4 processor has a built in USB controller allowing it to connect to your PC as a as if it were a mouse or keyboard. The Leonardo is a great microcontroller for many small robot projects.